Global doughnut chain, Krispy Kreme, has put a massive focus on digital capability, an aggressive move that aims to give customers a seamless experience and push the boundaries of innovation. 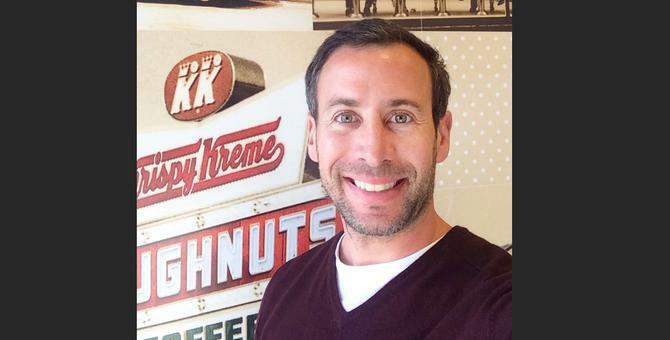 Russell Schulman, who is responsible for building the digital presence, customer loyalty and ecommerce capabilities for Krispy Kreme in Australia, said the country is leading the way in terms of digital innovation and ecommerce initiatives. Digital investment also reaches 75 per cent of media spend, up from 50 per cent last year and less than 30 per cent in 2014. According to Schulman, building a digital experience comes down to “clever ideas and great content, over big budgets”. Giving consumers ‘lickable doughnuts’ online and on consumers’ phones, as well as the ability to slide and see inside doughnuts on the website, are just some of the quirky and innovative ideas Krispy Kreme has been exploring, Schulman said. Krispy Kreme has a 21-store retail presence nationally but an even bigger wholesale business, with a significant footprint through 600 7Eleven stores. Ecommerce is also a growing part of the mix. Schulman said sweeping structural changes have been made since he started with the company three years ago in the name of digital transformation. A significant focus has been on how customers interact with the website, and in the systems behind the scenes. “When I first started, we had a website where people would put an order through, and it would come through as an email,” he explained. “We would print off the email and work out whether we could actually get that delivery to that person. Today, the doughnut chain in Australia has heavily invested in automating systems, adopting cloud-based software, Magento as its ecommerce platform, and Temando, an aggregator of all shipping companies or courier companies, for distribution. It also brought on a marketing automation platform from Bronto Software. All of these are integrated to ensure a seamless experience. On a good day, Schulman said it can have 200-300 orders coming through and not even know it’s happening. But the road hasn’t come without challenges, he said, explaining the company found out the hard way about losing momentum. The company closed 40-45 stores, including Sydney CBD and Westfield sites. “People like coming to the stores and seeing the big doughnuts on the line and the big machines. Having a small store in the middle of a shopping centre is not the best experience for customers, but we still wanted to reach those people, so ecommerce was the real way to reach those people,” Schulman said. Heavily investing in ecommerce tools and back-end systems is also proof of the importance Krispy Kreme is putting on digital and customer-led experiences. One recent ecommerce initiative saw the company roll out a ‘virtual pop-up’ aspect on its website, aimed at regions where physical stores aren’t viable including Hobart in Tasmania. The company has partnered with Virgin Cargo to fly the doughnuts to certain places and has also built special boxes so they can stay fresh and be delivered in the right condition. Krispy Kreme also recently launched in-store interactive zones, called the Dough Zones, a video game which activates once a consumer goes up to the screen and smiles. The units employ XBox Kinect face reading technology so that when a user smiles, the game opens up. The aim of the game is to defend your doughnuts from the bad hands who are trying to steal them. While playing, it takes photos of the users, and they can receive photos or record top scores by sharing email details. “We know what time people are in the store, which store they are in, and they get photos they can use on social media; they then join the email newsletter and they get their free doughnut on sign up,” Schulman said. These types of initiatives are helping add people into the company’s database and centralise company communications. “We can really own the audience if it’s in our email database,” Schulman said, adding the company is moving towards building more personalised, one-to-one communications and targeted marketing. “For us, it’s very much around occasion-based communication. We are changing the way we communicate,” he said. Over the last year, Schulman said the explosion of food delivery services has also been a big change. This has affected Krispy Kreme’s business strategy and vision of the future. “We find this a fascinating space and instead of saying, ‘We are going to stay with the system that we built,’ we have embraced those companies,” he said. The company initially used these services for planned occasion-based deliveries, such as birthdays and corporate Fridays, but is now using food delivery services including Deliveroo for the impulsive, quick turnaround orders. “With all of it, logistics is the key for success. We have adapted the way we do things, and are trying to be as agile as possible in order to facilitate this,” Schulman said. While he admitted it’s difficult to keep up with the latest trends and customer demands, Schulman said such changes to the way people experience food has positively changed the way Krispy Kreme operates. “We’ve avoid getting old-school, big clunky servers that host all of the data separately, and do everything cloud-based. So if something new does comes along, we can adapt quite quickly,” he added.